Many door units today are prefabricated and installed as a complete unit. The sills are attached to the side jams and cannot be easily replaced if damaged. 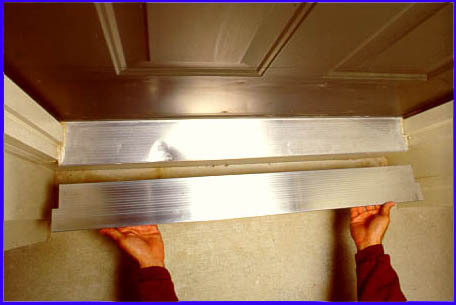 There is an alternative to cutting out the sill or removing the door frame from the house.